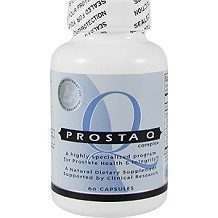 Prosta-Q, according to the manufacturer, is a unique blend of all natural ingredients that help to provide relief from the symptoms associated with nonbacterial prostatitis and to support overall prostate health. It is said to ease the symptoms of general pelvic pain and discomfort. It contains ingredients which purportedly have anti-inflammatory and antioxidant properties as well as aid in digestion. Read on for our full Prosta-Q review to help decide if it’s right for you. Other ingredients present in the product are gelatin, maltodextrin, magnesium stearate. The product does not contain any salt, yeast, wheat, gluten, preservatives, starch, sugar, sodium, milk/dairy, artificial flavor, soy or rice. Quercetin is a bioflavonoid with anti-inflammatory and antioxidant effects. Cranberry is a native North American fruit, whose extracts are used in various health supplements. Saw palmetto helps to control the multiplication of prostatic cells. Bromelain has anti-inflammatory properties and supports prostate health. Papain is extracted from papaya which aids the absorption of other components in Prosta-Q. The product is in the form of a capsule. It is advised to take one capsule two to three times a day, with meals. If you experience no symptom improvement after 8-12 weeks, the product is unlikely to be of any help. It is recommended not to take Prosta-Q if you are on quinolone antibiotics (like Cipro, Floxin, Levaquin). When we researched this article you could purchase a 60-count bottle of Prosta-Q for $49.99 from Amazon. You could also choose to buy two bottles from the manufacturer’s website for $79.98 but doing so registers you in the auto-refill program which sends you a resupply every 60 days for same price. The price for bulk purchases ranges from 4 bottles for $47.99 each, to 26 bottles (a 520-day supply if you take three per day every day) for $40.94 per bottle. Farr Laboratories, the manufacturer, will only accept returns of unopened bottles within three months of your order date. Customers must call the company to obtain an return merchandise authorization number before returning product. 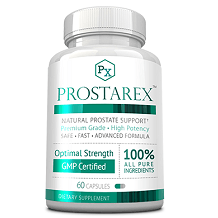 On the positive side Prosta-Q contains natural ingredients which are known and (says the company) “clinically shown” to help maintain prostate health. On the negative side, the product is expensive and the “best” price requires you to register for an auto-refill program. What’s worse, there is no opportunity to test the product risk-free as only unopened product is accepted for return. We would recommend looking for a less expensive more customer-friendly product.